The older I get, the more value I find in just being comfortable. If you look back through old photos here on the blog, my style has become increasingly more relaxed as the years have gone by. I used to wear blazers & heels on a weekly basis and now my pointed pumps have been moved to the back of my closet because they rarely get used! There’s nothing wrong with enduring a little bit of discomfort for the sake of fashion, but I’m discovering that you can actually have the best of both worlds so there’s no need to suffer. When it comes to footwear especially, I’ve come to appreciate quality over quantity. Most of the well-made styles that won’t hurt your feet and will hold up year after year are going to cost a little bit more upfront. This was a difficult leap for me to make because I’ve always been so budget focused. But, if you can think of it in terms of cost per wear, it will help adjust your mindset to consider longevity over the initial investment. 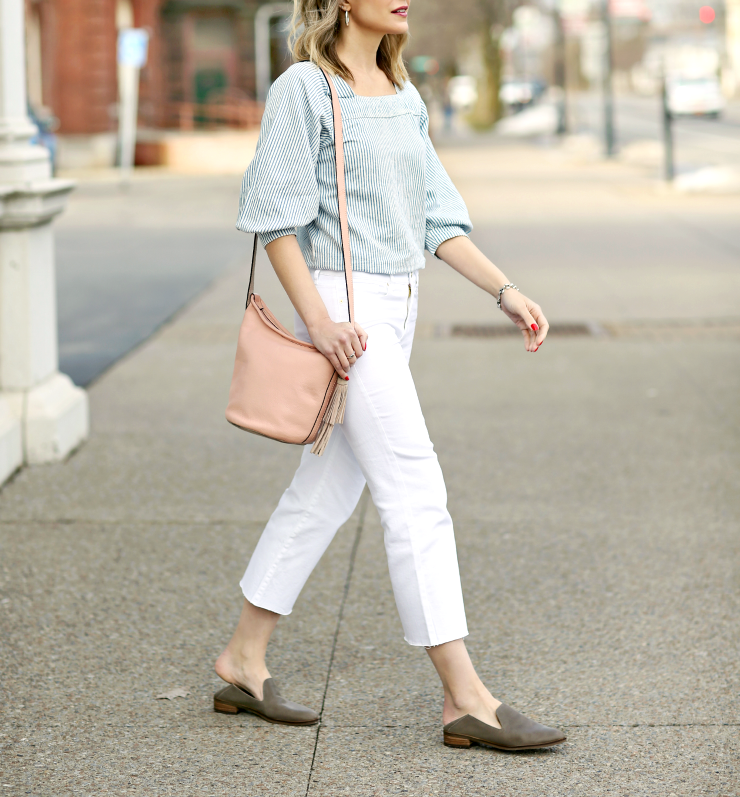 Rather than show you a cute pair of trendy shoes that you won’t reach for more than a handful of times, today I’m talking about the best neutral styles from Lucky Brand that are comfortable & versatile enough to be worn for multiple seasons. 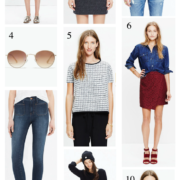 Both of these would be great options for those of you who are building capsule wardrobes because they are classic styles that will go with everything. 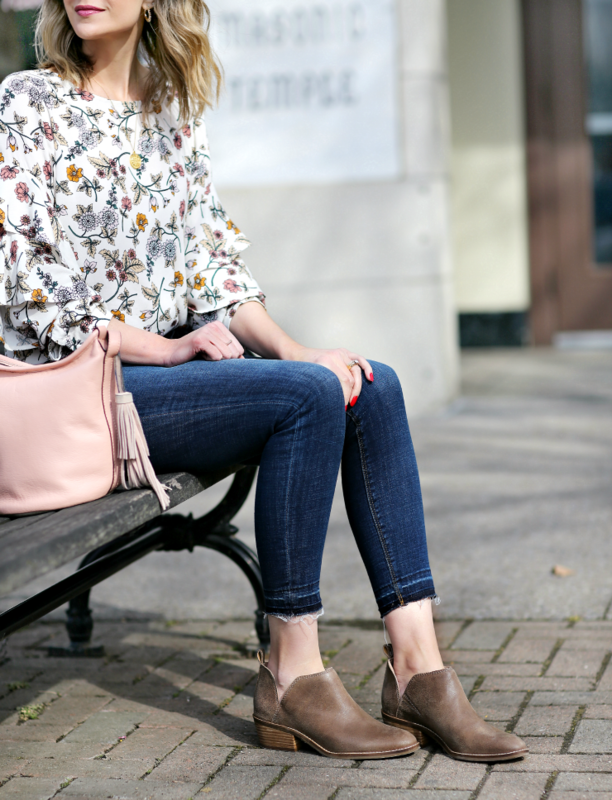 Now is a great time to stock up on spring footwear because Macy’s just launched their Great Shoe Sale, where you can save 30% when you buy 1 pair or 40% when you buy 2+ pairs using code GREAT (through April 14th). I’m breaking down the sale for you below & highlighting some of my top affordable picks in each category so you can shop & save! 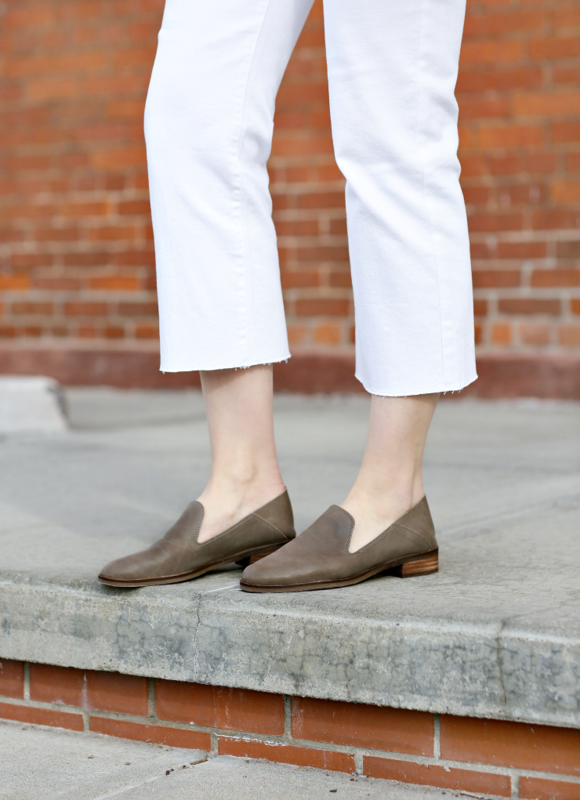 These taupe loafers are made from a buttery soft leather that basically mold to your feet when you wear them around for a bit. I personally can’t wear flats that have no heel at all because I need a little bit of cushioning & arch support, so these are perfect. 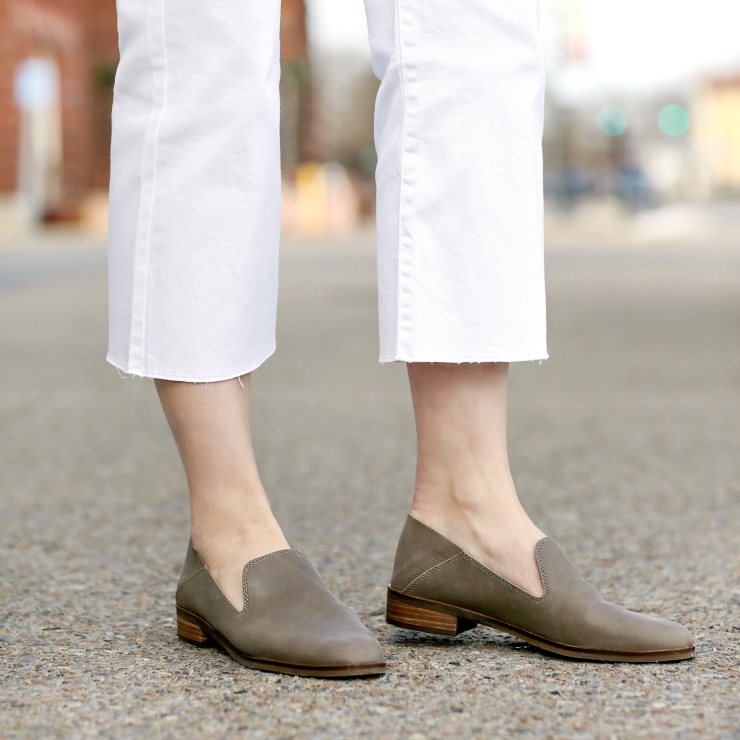 The best part is that they have a diagonal seam on the back so you can fold the heel in and wear them as mules – just slip on & go! These come in 6 different colors & a chic leopard print – with the promo code, they are under $65 (such a steal for this level of quality). Other flats worth checking out: these blush loafers, these neutral slingbacks, these pointed flats & these woven mules. If you’re looking for more casual options, I’d recommend these perforated slip-ons or these lace-up sneakers. 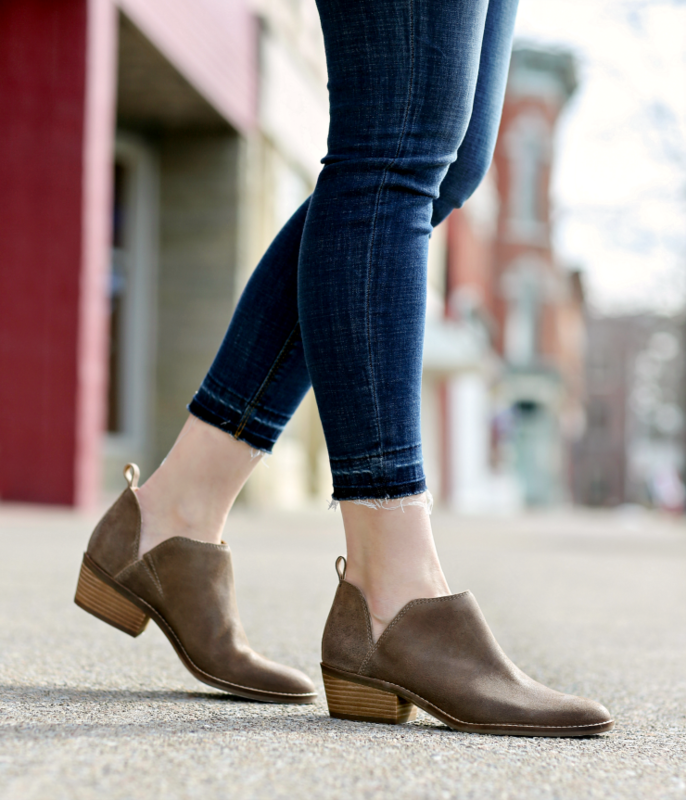 One of the questions I get asked the most during fall & early spring is how to wear ankle boots with skinny jeans. After some trial & error, I’ve found the most flattering way is to either choose jeans that hit right at the top of the boot or to show a little bit of ankle in between. What I love about these boots is that they have a lower shaft so they’ll work with even your longer denim (no crops needed!) 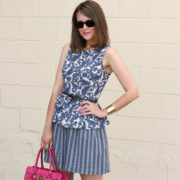 + the side cutout detail makes them really flattering. Thanks to the lower heel, they’re super comfortable for walking around in and they’ll pair just as easily with your floral dresses & skirts. Other options that I think are perfect for spring include these wedge booties, these perforated peep-toes and these block heel slingbacks. On the hunt for some sandals that will take you through summer? Check out these cognac block heels, these knotted slides, these wedge espadrilles & these flat sandals (an affordable dupe for the Tory Burch Millers).